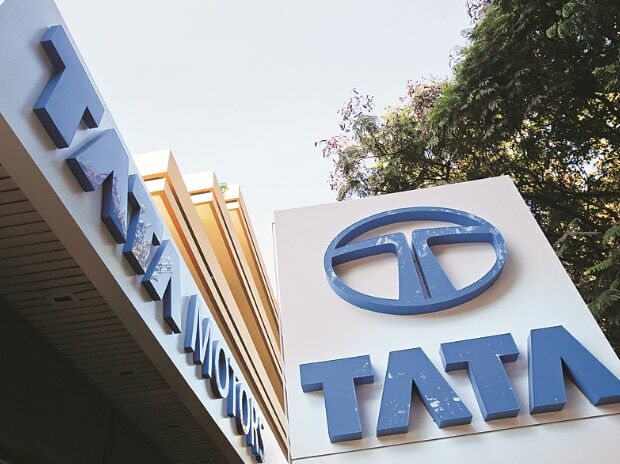 The Tata Motors' stock has gained about six per cent since the start of the month, on expectation of improved volumes, both at Jaguar Land Rover (JLR), its entity abroad, and the standalone level (largely India operations). What will help at JLR is that the management has retained its margin expectation of 14-15 per cent for the medium term, citing a winding down of unfavourable foreign exchange hedging (likely over the next couple of quarters), higher scale from new launches such as the Discovery and Velar, and a better sales mix. What adds to the stock's attraction is the single-digit price to earnings ratio for FY19, of 9.7. While this is a positive, the Street will also eye a turnaround in Indian operations. While the latter now contributes very little to the consolidated entity's operating profit, the standalone operations had a combined net loss of Rs 8,100 crore in the past four financial years (FY14-17), after adjusting for one-off transactions (exceptional items) of Rs 2,385 crore in FY17. So, even if the losses reduced by a big number, it would boost the overall numbers. The good part is that the standalone business is still servicing its loans and the loss is largely due to depreciation expenses. Most analysts believe the standalone operations will make money at the net profit level by FY19, on the back of new launches leading to higher volumes and leverage benefits, and control on costs. Pramod Amthe and Pravin Yeolekar of CIMB believe there is better visibility now for a turnaround in India operations. "Tata Motors' sharp 150-900 basis points domestic market share gains in segments like commercial vehicles (CVs) and passenger vehicles in recent quarters, coupled with cost cutting and new product launches, lead us to estimate a return to profit for the standalone entity in FY19." They believe the recovery in India's large truck industry demand, as seen in 36 per cent growth in August, if sustained, could help the company (standalone) to break even in the coming March quarter. Given that September volumes for the sector's top three companies (Leyland, Tata and Volvo-Eicher) grew 21-32 per cent, the turnaround could be faster than earlier estimates. To improve its market share, the company is launching six new products in trucks in the current financial year, to address product gaps in the 25-49 tonne category, and four new products in the light CV range. This should take it to positive territory in volumes; year-to-date medium and heavy CV sales are still eight per cent lower than last year. What helped improve the sales in recent months are overloading restrictions, replacement demand and a jump in truck rentals. Higher demand for trucks has translated to double-digit growth for a second month. Sales for September were 21 per cent higher for medium and heavy CVs and 29 per cent for CVs overall. Passenger vehicles sales were up 18 per cent year-on-year in September, with recent launches of the Tiago, Tigor and Hexa. Expected to help in strong double-digit growth are new launches such as of a compact sports utility vehicle, the Nexon; it has got strong response, the company says. The recent order for the first phase to supply 10,000 electric vehicles (EVs) to Energy Efficiency Services will boost its efforts to increase sales of these. The company is looking at soon launching the Tiago's EV version, giving it a future foothold in this segment. Given the recent trend of higher sales, analysts at Emkay Research say standalone volumes could grow by 10 per cent each in FY18 and FY19, led by medium and heavy CVs and robust growth in passenger vehicle volumes. They, however, believe there will be no profit but a significant reduction in loss. They expect the loss to come down from Rs 2,400 crore in FY17 to Rs 200 crore in FY19, underpinned by higher profit in CVs and reduction of loss in passenger vehicles. The key to watch is whether Tata Motors can tread the path or beat Street expectations on margins. Currently, analysts say, the higher growth in CVs for the sector is also led by higher discounts provided to customers. Unless this trend changes for the better, margin improvement for Tata Motors might take longer.